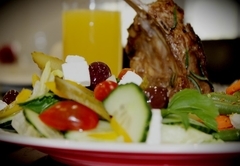 Lion Lodge is a 4 star graded guest house offering Bloemfontein accommodation in 20 guest rooms. 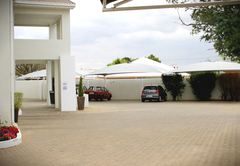 Lion Lodge is situated in the quiet suburb of Hospital Park, Bloemfontein, conveniently placed of the N1, Curie Avenue and en-route to the City centre, with easy access to all major centres. 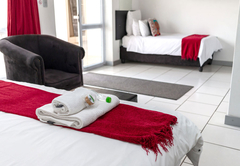 All rooms include up-market facilities including a dressing table / workstation, flat screen LCD TV with DSTV, air-conditioning, hair dryers, electronic safes, tea and coffee tray, fridge and microwave. Come and open your door to easy breathing and much deserved relaxation. We are Pet friendly for animals of 35cm high from the legs up, no animals are allowed on our bedding, please bring the Pets bed with. Owners to clean up after pets. The room is fitted with one queen bed, shower-only bathroom, Shower-Only Bathroom. 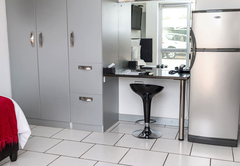 Safe, Hairdryer, desk, fridge and microwave, DStv with limited channels, free Wi-Fi (voucher system). Special Feature: Outside Door. 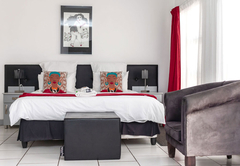 The room is fitted with one King Size Bed or Two Twin Beds, full bathroom, fridge, microwave and Safe, Hairdryer, desk, fridge and microwave, DStv with limited channels, free Wi-Fi (voucher system). Special Feature: Outside Door. 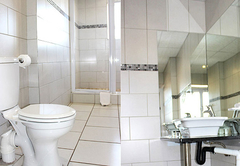 It is the most spacious bedroom, separate kitchen area (fridge + microwave) and a full bathroom. Safe, Hairdryer, desk, DStv with limited channels, free Wi-fi. The room is fitted with One King Size Bed and a single bed or Three Twin Beds. 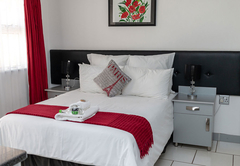 The room is fitted with one 3/4 Bed, Shower-Only Bathroom and Safe, Hairdryer, fridge and DStv with limited channels, free Wi-Fi and communal kitchen area with a fridge, microwave, and stove. We also have a house, ideal for families or bigger groups. Can sleep up to 7 people max. Beds include 2 x king beds or twin beds, 1 x sleeper couch, 1 x queen bed. 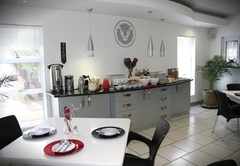 The house includes a living room, fully equipped kitchen, dining room & two bathrooms. Stunning Food. Very clean and comfortable lodgings. 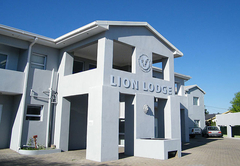 Response timeLion Lodge typically responds to requests in 5-10 minutes.